“I leave light in these pages, so that you may find happiness in your darkest times.” Many poetic works can inspire, but very few, like this one, have the power to change your life. 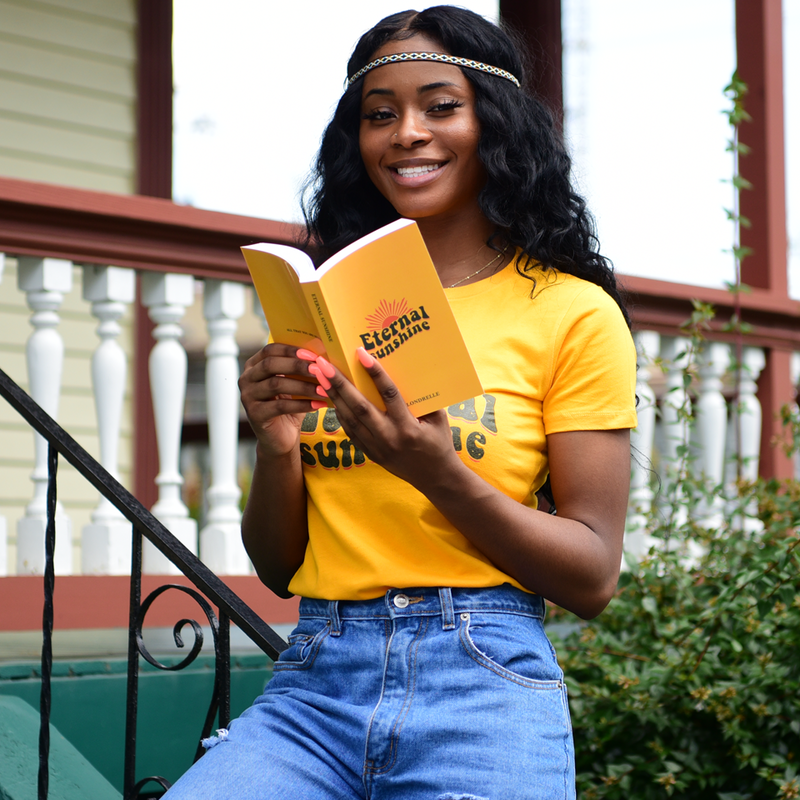 Eternal Sunshine is a collection of self-help and divinely inspired poems, which provide soul lifting wisdom and guidance to aid readers with the test and trials of everyday life. The author expresses universal truths and timeless enlightenment , in a simple , yet beautiful way. Unlike other poetic works, this book also features added commentary to give the audience a deeper insight and wisdom filled summaries of each poem. Eternal Sunshine is composed of over 200 beautifully written poems, separated into four sections; Spirituality and Philosophy, Love & Relationships, Self-Love, and The Seeker & The Sage. It also includes an entire section of tips and practices for those wanting to learn how to love themselves more, as well as sections of poetic prayers and affirmations. For every dim day, there is a page that will lift and light your spirit with peace,love,and everlasting bliss.